She has been called Singapore’s ‘oldest streetwalker’, a label that Geraldene Lowe-Ismail accepts with a hearty laugh. For nearly 50 years, walking the streets of Singapore was exactly what she did, taking tourists and Singaporeans on heritage tours packed with lively, detailed information about the island’s buildings, roads, neighbourhoods, culture and people. Geraldene was the first to conduct walking tours in Singapore, and her knowledge of the island and its history is so encyclopaedic that, shortly after Singapore became independent in 1965, she was asked to help train tour guides and to be part of the team that shaped a 50-week training programme for tour guides. This programme continues to be used for the licensing of tour guides today. Geraldene was born in 1938 to Eurasian parents. An only child, her early years were spent in Katong. When Singapore fell to the Japanese in 1942, Geraldene and her mother escaped to Australia. They returned after the war but as no schools had re-opened, Geraldene was sent to a boarding school in Perth where she eventually became head prefect. She came back to Singapore in 1955 and did a secretarial course, after which she worked for Air India. In 1957 she joined trading group Anglo-French when it opened a travel agency. It was the beginning of the era of mass air travel, and Geraldene was on many inaugural flights. When she was 24, Geraldene went to Italy to learn the language. That’s when her tour guide career kicked off. She was working at a hotel and when the tour operator ran out of guides, she hopped onto the tour bus and started being a guide. Guides in those days did not provide much information, often simply pointing out landmarks. Geraldene realised that this was not good enough, and she began to put together the kind of information that would help tourists better understand and enjoy the sights they were seeing. Back in Singapore after her stint in Italy, she was asked by air-conditioning company Carrier Singapore to start a travel agency to cater to the travel needs of their staff and to provide travel services to the many new companies that were starting operations in Singapore. The first overseas tour she organised was to Cambodia, mostly for wives of expatriate businessmen who wanted to know Asia better. 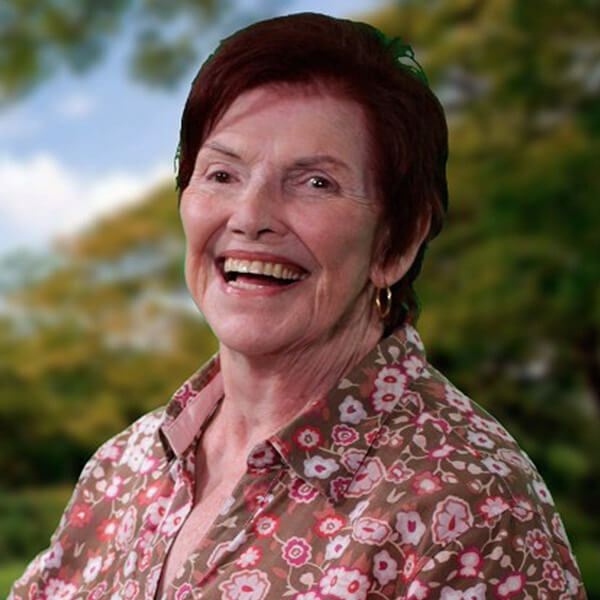 When Geraldene got married in 1967 and started a family, she stopped full-time work with the travel agency and became a free-lance tour guide. Many embassies were being set up in Singapore then, and she was often asked to take care of visiting dignitaries. It helped that she could speak Italian, Spanish, and some French, along with English and Malay. In 1985, Geraldene’s family moved to Australia for the children’s studies. Geraldene, however, remained in Singapore, making short visits to Perth to see the family. She was busy training tour guides and creating and conducting tours. 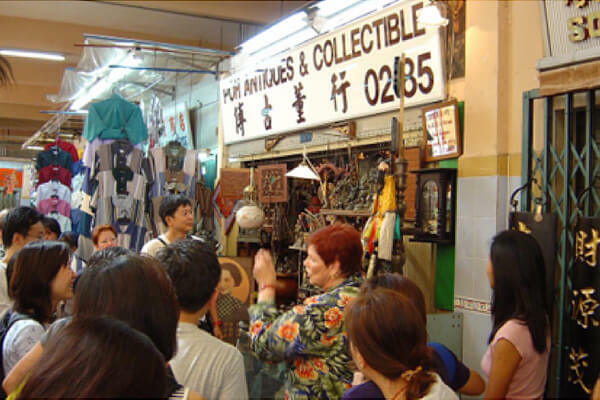 Many of these tours, especially the walking ones, were linked to Singapore’s festivals. 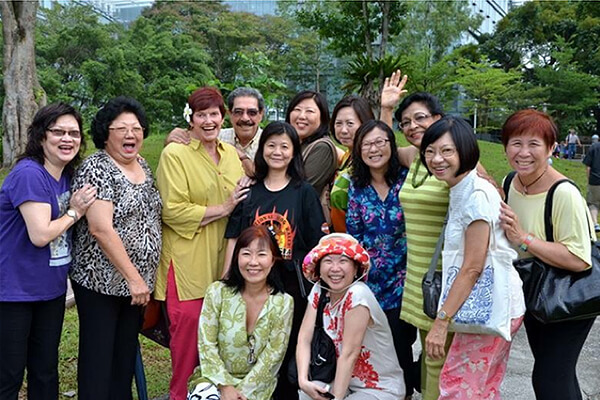 Geraldene was a founding member and the first president of the Registered Tourist Guides Association of Singapore, and she was also involved in the setting up in the mid-1980s of the Singapore Heritage Society. She wrote the book Chinatown Memories that was published in 1998 and is planning one about Orchard Road. Her pioneering role in Singapore’s tourism industry was recognised when she received the Lifetime Achievement award for outstanding contribution to tourism at the Singapore Experience Awards 2014.